What Are Your Options For Fleet And Truck Financing? 1) purchase your trucks outright with a loan or 2)lease your trucks. It will depend on your particular business, size and location which option is best for you. You tax accounting goals, income and general business outlook will undoubtedly be important factors in your decision. If your business is relatively stable with a good credit rating, you will have numerous truck financing opportunities. On the other hand, if you are just starting out, say with a single dump truck, you may have to purchase your first truck with your own money or a small loan. Business Money Source with a commercial truck lender is willing and able to finance used sleeper tractors, day cabs and dump trucks. The lender prefer loans of $75,000 or less but will consider slighter higher amounts. This lender looks at the equity position on every truck deal. The typical down payment and/or trade-in value is 25% of the retail price. Can You Get Financing With Lackluster Credit or Other Financial Problems? Since this lender source is a direct lender, they evaluate each truck client on a case-by-case basis. Therefore, they are able to finance trucks in situations that banks and finance companies won’t fund. One of the biggest advantages of leasing your fleet is that the time and cost of maintenance is shifted from you to the leasing company. Time is money in any business and the time lost when a vehicle is being repaired or receiving routine maintenance means lost business for you. A lease, which provides a replacement vehicle while yours is being serviced, can save you money and the goodwill of your customers. Apply for vehicle leasing by filling out this general business application. Some leases may offer additional programs that are beneficial to you, such as emergency roadside service, vehicle washing and safety programs for your drivers. Check any leasing agreement carefully for these and other conditions that will affect the quality of your lease. What Kind Of Trucks Can You Lease? There is really no limit to the kind of truck that you can lease. It all depends upon your business and kind and number of commercial vehicles required. 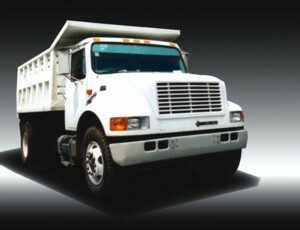 Some examples of the kinds of trucks that can be leased are: beverage delivery trucks, boom trucks, bucket trucks, bus coaches, cargo vans and moving vans, cement mixers, crane trucks, delivery trucks, fire trucks, flatbed trucks, forklifts, garbage trucks, ice cream trucks, rollback wreckers, street sweepers, snow plows, tankers, utility trucks, tractor and trailers and any other special purpose commercial and industrial vehicle that comes to mind. If you decide to choose leasing as your preferred method of truck financing, there are several items that you want to make sure that you know before entering the lease. One thing is what happens at the conclusion of the lease? Do you own the vehicle? Can you purchase it for a specific amount? Does the vehicle’s ownership revert back to the leasing company? Also, you want to make sure you are not hit with additional cost for exceeding mileage limits if any. Make sure you know about any mileage limits on the vehicle going into the lease agreement. The cost for exceeding mileage limits can negate much of what you saved on maintenance and tax benefits during the course of the lease. Apply for vehicle purchase financing or leasing. Learn more about equipment leasing? Click to leave Truck Financing and return to Business-Money-Source.com homepage.